convert HD/QuickTime/YouTube/Google videos for Motorola Droid! Motorola is a multimedia enabled smartphone. But what on earth does the Motorola Droid play? For audio formats, Motorola droid can play AAC, MP3, WAV, OGG, MIDI, etc. For video formats, Motorola droid can play videos encoded with H2.64, MPEG-4 codec, 3GP (H263 + AMR NB) and WMV videos. If you want to play your videos and DVD on MOtorola droid, you need a video converter and DVD ripper for Motorola droid. 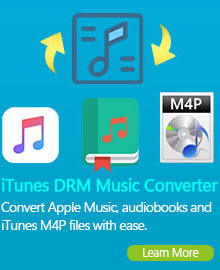 Any DVD Converter is a handy video converter and DVD ripper for Motorola mobile phone series devices, which could help to rip DVD movies and convert video files to MP4, AVI, WMV, MP3 and play on Motorola phone easily. With this smart video tool, you could enjoy video on you Moto new Android phone: CLIQ/DEXT, Droid, Milestone freely. Besides, you can load all popular video and formats such as RM, VOB, MPEG, FLV, YouTube, WMA, MOV, etc.. In addition, this Moto movie converter software provides video edit functions such as video cut, video joiner, and join splitter, effects adjusting. How to rip DVD movies and convert videos to MP4 Motorola Droid? Step1: Open DVD or add video clips from your hard drive, YouTube, Google or and NicoVideo to Any DVD Converter. Batch video conversion and merging videos are supported. If you prefer WMV or 3GP movies, you can select "Customized WMV Movie (*.wmv )" or "Mobile Phone 3GP Movie (*.3gp)" as output profile. With the above settings, Motorola droid should play your videos perfectly. Step 3: Click Convert button to start. Once the conversion is finished, you can click "Output Folder" button to get the output MP4 files. Then connect your Motorola Droid to computer via USB and your Motorola droid. Once mounted, create a Video folder in the root of your Motorola droid and copy the output videos to the Video folder. Now, the converted video can be played on your Motorola droid with the Gallery app. Have fun! Any DVD Converter can not only rip copy protected and unprotected movies, but also able to convert HD videos such as AVCHD (mts, m2ts), TP, TOD, H.264/AVC, MKV, MPEG-2 (ts), DivX and HD WMV to Standard Definition video format including AVI, WMV, MP4, SWF, FLV, 3GP, etc. that are perfectly fit to Motorola phones (Motorola Droid, MOTO Q series, Motorola Cliq, Motorola Backflip, Motorola Devour, etc.). This Motorola DVD and video converter has more feature-laden than expected! You can capture your favorite scene and save it as PNG image formats; clip desired video segments from a HD video; crop HD video to remove black bar in order to retain your favorite displaying area; adjust video effects including brightness, saturation and contrast of the video, or rotate HD video by 90 degrees; merge several HD videos into one so that you can enjoy a long movie without interruption. With Any DVD Converter or Any Video Converter, you can easily convert QuickTime videos (MOV, QT, MP4, M4V) to MP4, WMV, 3GP format to play on Motorola Droid. Apart from its powerful converting feature, this Motorola converter also provides video join or video merge function allowing you to combine and join multiple QuickTime videos together. Just select the videos you want and check the "merge into one file" check box you can do it easily. Any DVD Converter is a simple yet powerful Motorola video converter. It can convert almost any QuickTime videos with MOV extension. With it, you can easily convert MOV to MP4 video file, MOV to MPEG-4/x264, QT to MP4 and QT to MPEG-4/xvid in batches at high speeds. It also has advanced options which allows you to set bitrate, framerate, frame size, aspect ratio, also crop or pad black strips at outer part of mov video. 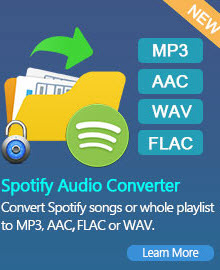 It is simply a great video converter. Everyone knows FLV is a very common video format used in Google Video and YouTube, however, Motorola Droid doesn't support this file format, thus you need to use a FLV to MP4 converter to convert the YouTube FLV videos before transferring to your Droid. Any Video Converter is the best FLV Converter to convert flash video files to mp4, wmv, 3gp, avi, mkv, etc. Any Video Converter is not only a great YouTube video converter, but also a wonderful YouTube video downloader. It is equipped with built-in YouTube video downloader enabling you to download the YouTube videos in Standard flv, High quality mp4, Mobile 3gp, High Definition MP4 (720p) and even Full High Definition MP4 (1080p). No doubt, Any Video Converter is truly your ultimate choice to download and convert YouTube videos for Motorola Droid. Got a problem to watch anime on your Motorola Droid since the newer releases are in the MKV format? You need to get Any Video Converter to do the job for you. Although MKV file format is becoming more and more popular now, most of the players, such as Motorola Droid, iPad, iPod, iPhone, PSP, PS3, Xbox can't play MKV videos. This causes headache to many people. BlackBerry Video Converter can help you freely convert MKV to WMV, MKV to 3GP, MKV to AVI or MKV to MP4 for almost all popular portable devices. Meanwhile, you can rip the audio from your MKV files and save them as MP3, AAC, WAV for your Motorola Droid. The Motorola Droid is an Internet and multimedia enabled smartphone designed by Motorola, which runs Google's Android operating system. In the United States, the handset is distributed exclusively by Verizon Wireless. Features of the phone include Wi-Fi networking, a 5-megapixel low light capable digital camera, a standard 3.5 mm headphone jack, interchangeable battery, 3.7-inch 854 x 480 touchscreen, MicroSDHC support with bundled 16GB card, free turn-by-turn Google Maps navigation (beta), sliding QWERTY keyboard, and Texas Instruments OMAP 3430 processor. The Motorola Droid runs Android version 2.0.1. The phone does not, however, run the re-branded MOTOBLUR interface for Android, instead providing the Google Experience skin and application stack. 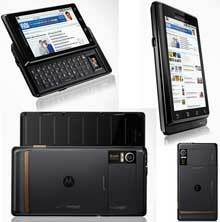 There is also a GSM version of Motorola Droid, which is called Motorola Milestone.